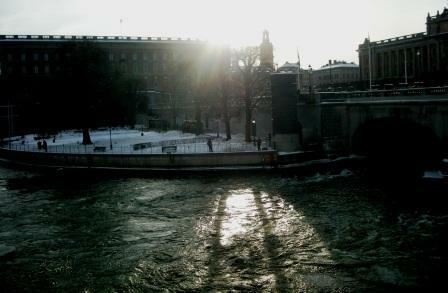 The entrance to the Museum of Medieval Stockholm, in the background to the left is the royal castle and the Old town and to the right Sveriges Riksdag (the Swedish Parliament building). 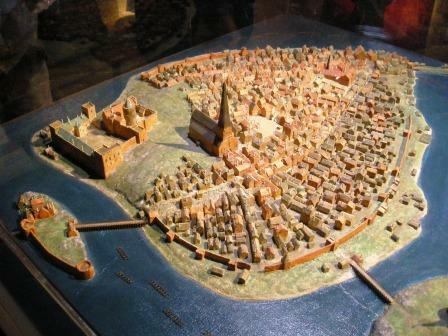 For those of you that are not familiar with Stockholm, it’s the capitol of Sweden; the city was founded during the 12th or 13th century and became the capitol during the 15th century. 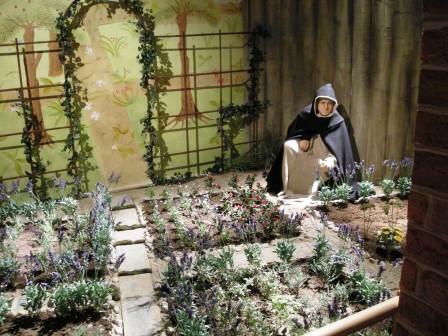 Still there are lots of traces of the medieval town to been seen, in the Old City, in some of the churches and of course in museum exhibits and collections. 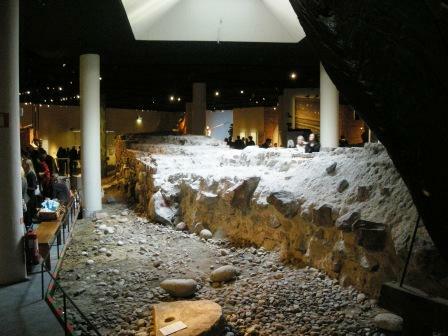 The Museum of Medieval Stockholm is build around a part of the city wall that was found during excavations at Helgeandsholmen (The Island of the Holy Spirit) between 1978 and 1980 and opened in 1986. 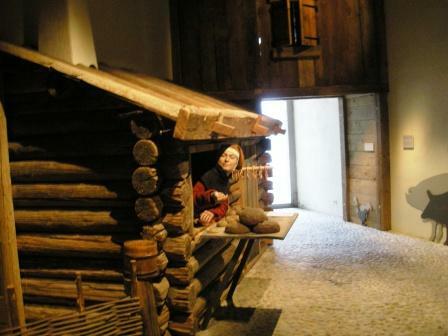 The museum has undergone renovations and been closed since 2007. 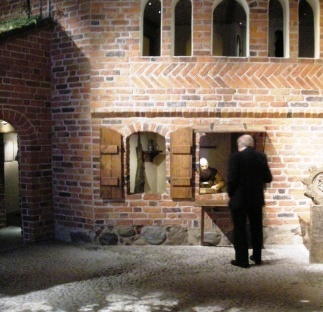 This weekend the Museum of Medieval Stockholm reopened. I took a few pictures and rather than a long post I’ll let them do most of the talking. 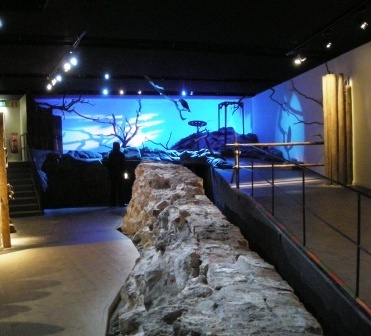 A few notes; the museum has gotten a facelift, a few modifications on the old exhibit and a few new installments. I feel it’s all for the better, it’s less crowded and bit more airy and concentrated. A new feature is a “science fair” where archaeologists and specialists such as osteologists talks (on small video screens) on their work, on methods and results or so I was told – there a bit noisy with all the visitors – so I’ll take a rain check on them but it seemed interesting enough for a re-visit, that and the fact that I know a couple of the people on those screens. A few things are still missing such as information signs and such – but I’m sure it’ll all work out just fine. 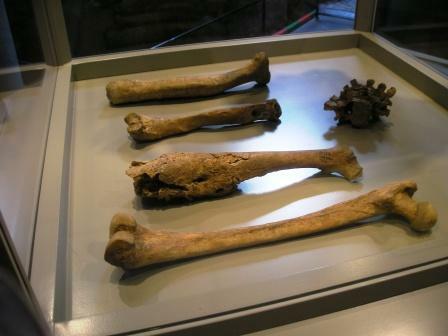 these bones, belonged to someone that wasn’t all that well (the second from the front displays a femur (thigh bone)), thank God for modern day medicine and doctors. 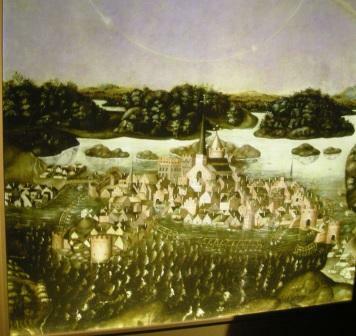 If you’re in Stockholm looking for a good museum or to kill a few hours the Museum of Medieval Stockholm is a good choice. 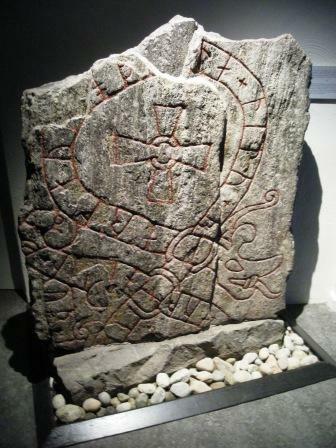 This entry was posted on Tuesday, January 26th, 2010 at 8:06 pm	and tagged with Helgeandsholmen, Medeltidsmuseet, Museum, Stockholm, Stockholms medeltidsmuseum, The Museum of Medieval Stockholm and posted in Archaeology, Middle ages, Museums. You can follow any responses to this entry through the RSS 2.0 feed. Love the photos. Wish I could make it to Sweden to see the exhibit. Thanks, I’ll take a couple more when I revisit it sometime in future. This is the their “permanent” exhibit so I guess that it more or less will stay like this for a long time ahead with some variations and of course sided with temporary exhibits. 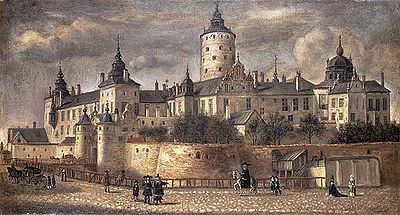 There are actually several interesting museums/exhibits in Stockholm on Medieval times; Tre kronor (three crowns) is a museum in the Royal castle on its medieval history, unfortunately most of the medieval castle was destroyed during a fire in 1697 (this how it once looked http://upload.wikimedia.org/wikipedia/commons/thumb/3/37/Slottet_Tre_Kronor_1661.jpg/400px-Slottet_Tre_Kronor_1661.jpg) and then The Historic museum has nice exhibits on medieval church art from medieval churches and on textiles (http://www.historiska.se/home/exhibitions/thegothichall/ and http://www.historiska.se/home/exhibitions/thetextilechamber/). 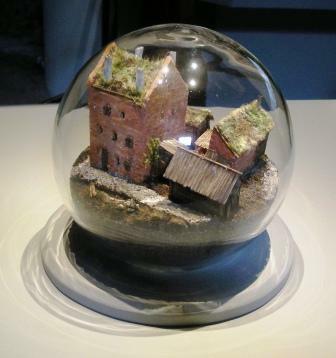 Vilket trevligt inlägg, verkar som om det är dags för ett besök i huvudstaden dagtid, framöver. Fina bilder. Kul att se! 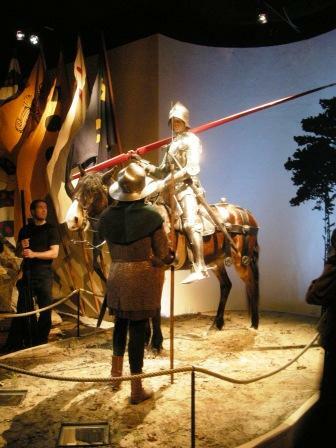 Thanks for the wonderful post on the Museum of Medieval Stockholm. 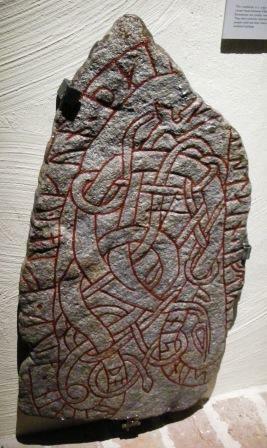 The runestones alone are worth a visit. So different from the Gotlandic ones. 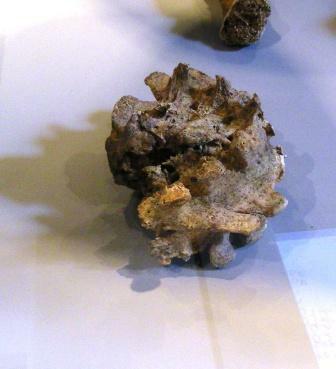 Thanks, it’s a nice museum with many a treat. I see that we share a similar interest in China, nice pictures. My main interest is concerning the Yangshao culture and you had a couple of nice shots from the Banpo matriarchal clan museum.